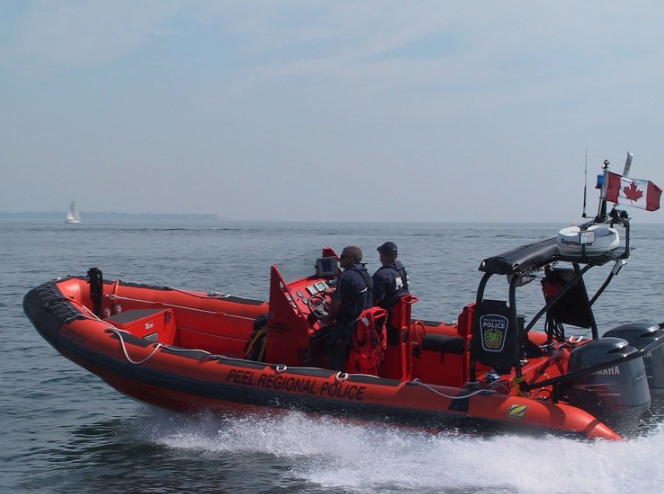 A man and woman were rescued from Lake Ontario Friday after their watercraft went under. Luckily, the pair had a cell phone on hand to dial 911 from a half-nautical mile out. “They were floating in the water when they called us,” said Peel Regional Police Const. George Tudos. Police received word at 4:40 p.m. and pulled the pair within 25 minutes. Officers managed to find the Sea-Doo. The man and woman had life vests and a whistle, said police, noting it was likely a mechanical error. The man, in the water longer than the woman, was cold when officers got to him, said Tudos, but they’re otherwise fine.